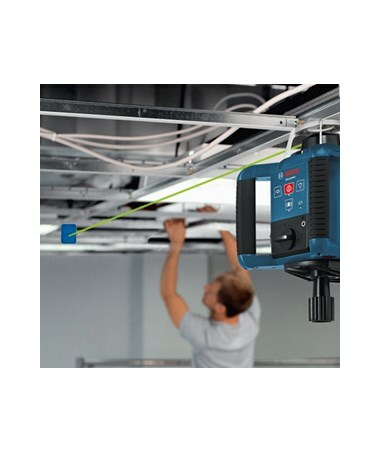 The Bosch GRL 300 HVG Green Beam Self-Leveling Rotary Laser is a self-leveling laser that is three times brighter than standard red beam lasers. 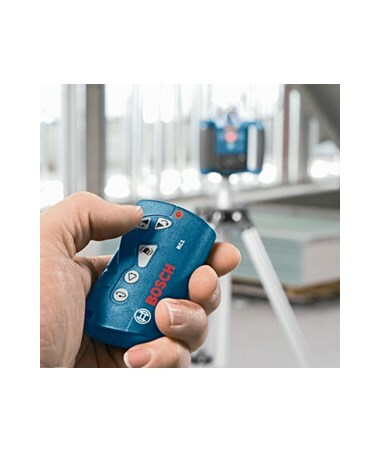 Offering both horizontal and vertical self-leveling functions, this rotating laser is perfect for various applications such as construction works, metalworks, and even woodworks. 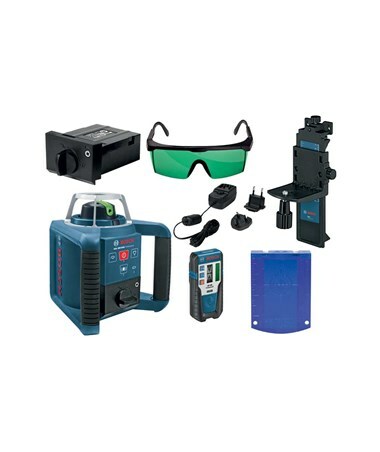 It has a range of up to 650 feet without a laser receiver and up to 1,000 feet with the LR1G laser receiver (LR1G sold separately). 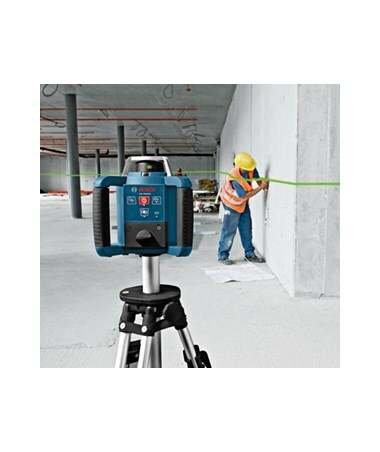 Also, this construction laser is self-leveling within ±4 degrees and has an accuracy of ±1/8 inch at 100 feet. Having a 90-degree layout beam, set up and square layout is easier. 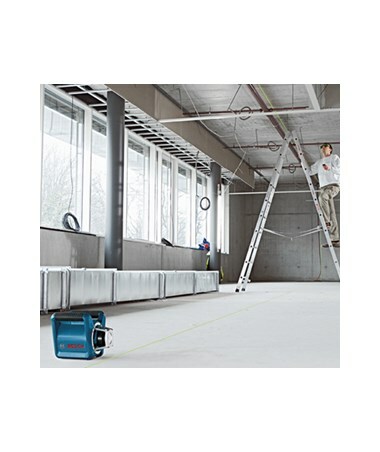 The GRL 300 HVG has a rotation speed of 150, 300 and 600 rotations per minute. Also, it has three variable scan angles of 10, 25, and 50 degrees. 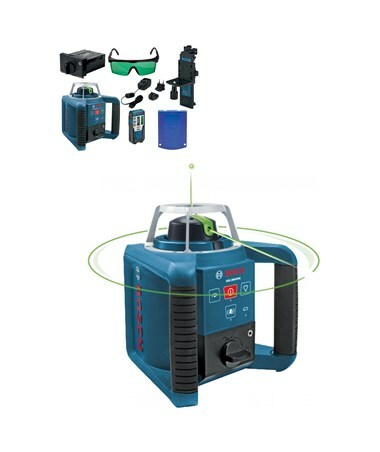 To easily indicate that the laser is out of range, it comes with an out-of-level alert. 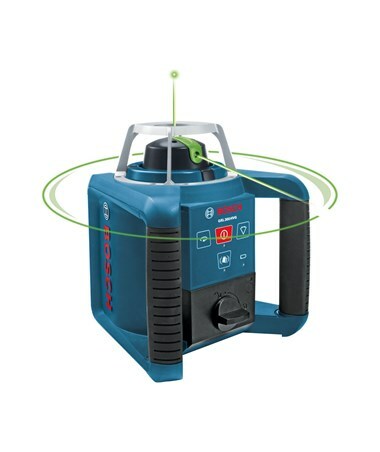 The Bosch GRL 300 HVG includes a protected cage for head assembly and two large, easy-to-grip carrying handles to protect the laser from the harsh environment of job sites. It can power up to 20 hours using NiMH batteries and up to 30 hours with alkaline batteries. 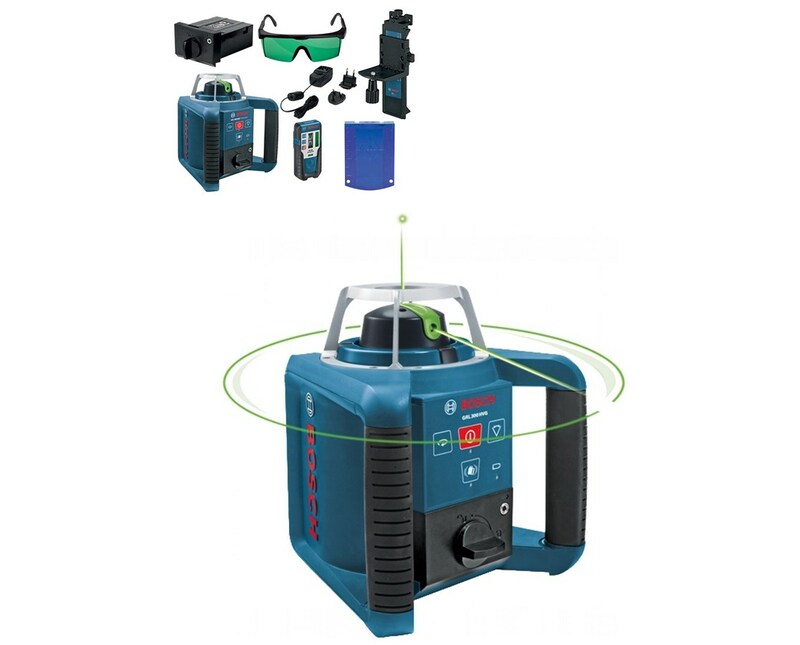 With an IP54 rating, this rotating laser is dustproof and water resistant. As an extra feature, it includes a 5/8-11 tripod thread for a hassle-free tripod attachment.